You're probably scratching your head at this one. For most of our readers, the Big Mac has not been a dollar in your lifetime. These days, the sandwich sans meal costs you over five bucks, and the global average price of a Big Mac has risen to $6.70. In 1967, when the sandwich was introduced, it cost a mere 45 cents. 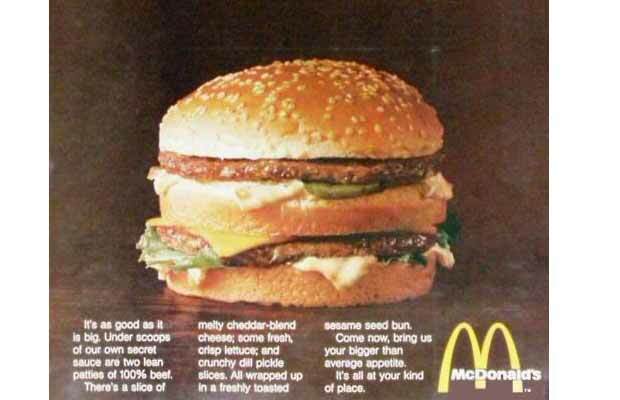 Throughout much of the '70s, a Big Mac could be had for a dollar. Obviously, inflation has kicked into high gear since then, and Big Mac prices have risen as the dollar stretches a little less with each passing year. In light of how Big Mac prices have surged upward over time, it should come as no surprise that McDonald's has been forced to abandon the Dollar Menu due to ceaseless inflation.